A guest room is a must when you have friends and family regularly visiting for extended periods of time. You want to provide them with a comfortable, livable space rather than handing them a few extra pillows and blankets for the living room couch. To ensure your guests feel at home, you need to properly decorate and style it to flow with the overall feel you achieve throughout the rest of your living space. If your entire home follows a core design theme, perhaps it makes sense to decorate the guest room in a complementary way. For instance, if your home already exudes a minimalist modern vibe, it doesn't make sense to go for a maximalist style in the guestroom. Let the rest of your home inspire the guest room theme so your living space flows together seamlessly. Perhaps each room in your home has its own sense of style, however. 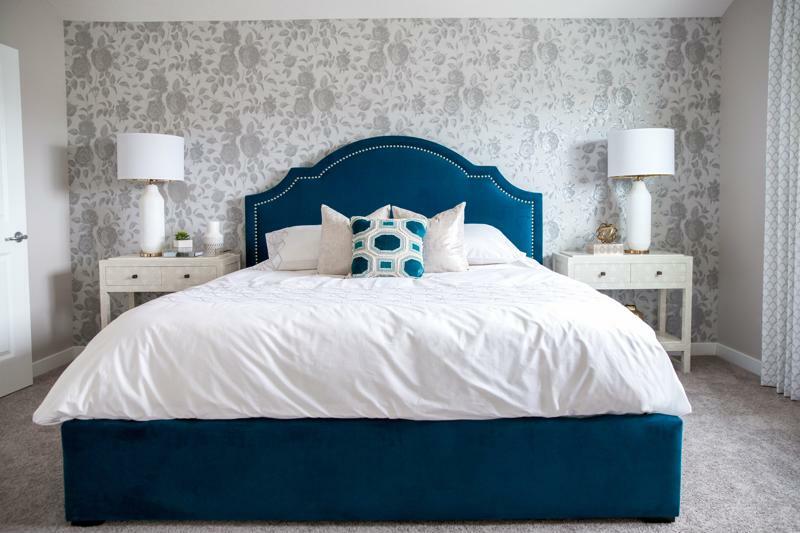 The guest bedroom is the perfect place to consider going bold and wild with a color, or choosing an overall design scheme you've always wanted but felt too unsure about. Take the risk and create that wow factor! Choose a color scheme that will help guests feel relaxed. If you see yourself wanting to change up the theme of the guest room over time, you may consider decorating based on each season! Paint the walls with a neutral color, then let the seasonal decor take over as the year goes by. From bedding and window treatments to accent rugs and accessories, there are so many different ways to emphasize each season. Consider white and pastels for a fresh spring look or get ready for summer with bright bold colors that scream sunshine and island vibes. Do you want to wow your guests when they show up for a long weekend stay? Think about how comfortable, relaxed and refreshed you feel when you enter a hotel room on vacation. Now, use that vibe to inspire the design and decor in your guest room! Sleek lines and neutral tones throughout the space can help guests feel at ease while visiting. If you want to take it to the next level, don't forget to leave out extra linens and towels, as well as toiletries to last throughout their stay. A bouquet of fresh flowers on the bureau or side table adds a lovely touch, as does a basket of goodies from a local vendor! Some visitors may be traveling from out of town where time zones are different, meaning they may have to catch up with sleep when they arrive. To accommodate them properly, be sure to consider custom window treatments like blackout drapery that keeps the light from entering the room. This will offer privacy, comfort and a beautiful touch to the space based on the style you choose. Making your guests feel welcomed into your home with open arms can be easily achieved by giving them a space that's worthy of retreat status. If the idea of restyling this room in your home on your own intimidates you, contact a personal decorator from Decorating Den Interiors. One of our professionals will come to your house for a free consultation to evaluate the living space and provide design tips and tricks based on your personal style, preferences and any of the prior ideas mentioned. He or she can provide professional insight that steers you in the right direction and turns your guest room into the warm and comforting space you've always wanted. Don't let your guest bedroom remain untouched any longer! Contact a design consultant from Decorating Den Interiors today to get started.